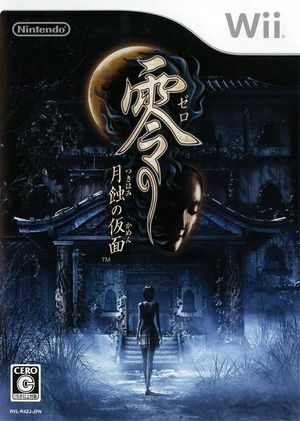 Zero: Tsukihami no Kamen (零〜月蝕の仮面〜, Zero: Mask of the Lunar Eclipse), known in the states as Fatal Frame IV: Mask of the Lunar Eclipse is a survival-horror video game developed by Tecmo and Grasshopper Manufacture and published only in Japan by Nintendo for the Wii video game console. It is the fourth game in the Fatal Frame series and the first of two on the Wii, followed by a re-release of Fatal Frame II. If you have patched the game with a patch such as the English translation patch, the region data of the game might be incorrect, depending on how you've applied the patch. If that is the case, Dolphin 4.0-8741 and newer will be unable to start the game, getting stuck on a black screen. The region data can be corrected by opening the ISO file in a hex editor and changing the byte at 0x4E003 to 00. Album photos will be black with EFB Copies to Texture Only enabled. The graph below charts the compatibility with Zero: Tsukihami no Kamen since Dolphin's 2.0 release, listing revisions only where a compatibility change occurred. 3.0 Windows 7 Intel Core 2 Duo E6600 @ 3.06GHz NVIDIA GeForce G210 30-20FPS, sometimes gets stuck for a second or two. This page was last edited on 15 August 2018, at 15:49.